Maruti Suzuki will unveil a brand new micro SUV concept at the 2018 Auto Expo. Called the Future S, this concept will give us a glimpse of what the production version of the micro SUV will look like. Maruti plans to launch the production version of the Future S sometime by end 2018 or early 2019. For now, here’s a fresh render of the upcoming vehicle based on the latest teaser that Maruti has put out. The Future S micro SUV will share the HEARTECT platform with the all-new Swift, which means that it’s unlikely to be the Alto’s replacement. 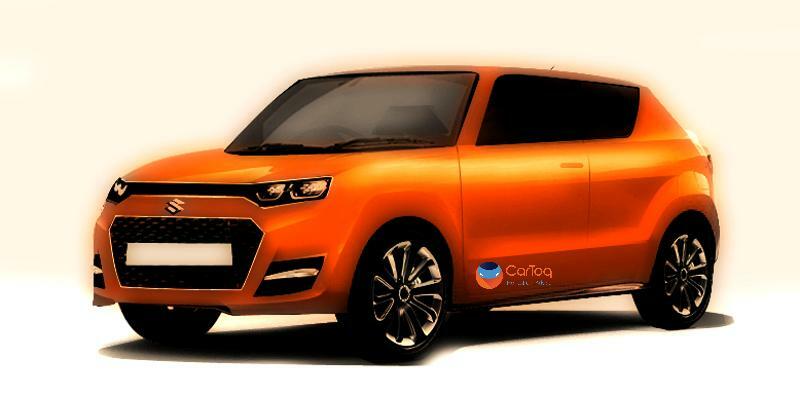 Instead, it’s likely to square off against the Mahindra KUV100, India’s first-ever micro SUV. The Future S is likely to pack in both petrol and turbo diesel engines. Manual and AMT options are also likely. In terms of pricing, the Future S will sit well below the Vitara Brezza, Maruti’s best-selling sub-4 meter compact SUV. The Micro SUV segment is expected to see big action in the coming years. While Maruti is working on putting the Future S into production, Hyundai has similar plans and is working on its own micro SUV, which will below its sub-4 meter SUV offering. Hyundai’s micro SUV isn’t likely to hit the market before 2020 though. Renault is also working on a micro SUV based on a stretched platform of the Kwid, called the CMF-A+ platform. In terms of pricing and positioning, micro SUVs will rub shoulders with B-Segment hatchbacks such as the Maruti Swift and Hyundai Grand i10. They’re meant to be butch-styled, high riding vehicles designed to suit India’s road conditions. They’ll be easy to drive and park, and offer good street presence at a much cheaper price tag than what sub-4 meter compact SUVs such as the Maruti Vitara Brezza and Ford EcoSport sell for.